As you’ve heard, we’re poor. S works part-time and is a full time student at the local university. I do not have a job currently, but am trying to finish my first novel. This means I cannot afford the gym membership everyone keeps recommending. Luckily, developing a healthy lifestyle is not limited to one standard of highly specific ideals. I’ve set my 30-day work out goal. S and I are also changing our eating patterns. 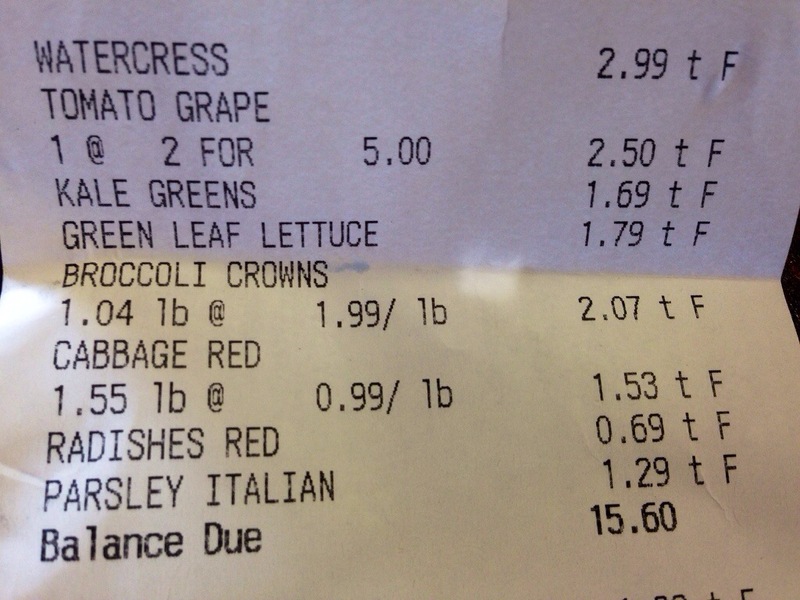 In other words, we bought a crap ton of veggies. The best part: S insists that we do everything in our power to eat them raw. This means we’re eating a lot of salads. While I’m not saying everyone reading this should run out and buy a billion vegetables, I would like to point out that it’s really not that hard to do this. S looked at prepackaged salad mixes, saw that it was cheaper to buy the ingredients separately, and collected the greens in the popular salad mixes. 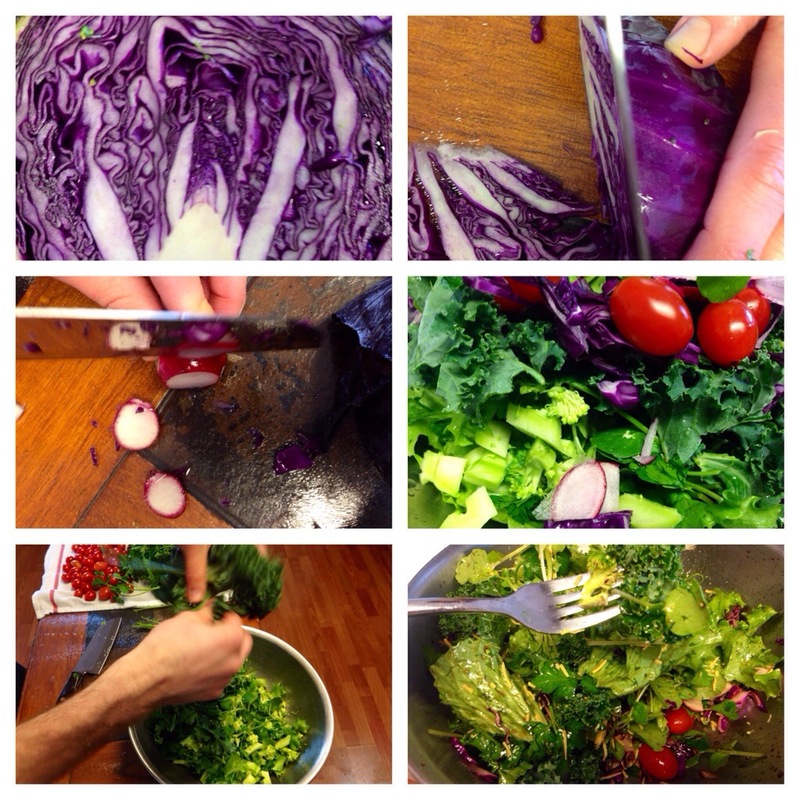 Then he added more super foods, like broccoli, cilantro, and tomatoes. We sprinkle on some cheese, and you can bet anything that I am putting fruit on my salads. Another thing to note is that bottled salad dressings aren’t very good for you. I know, I know. It’s the only thing that makes salads tolerable. However, there are healthier options. 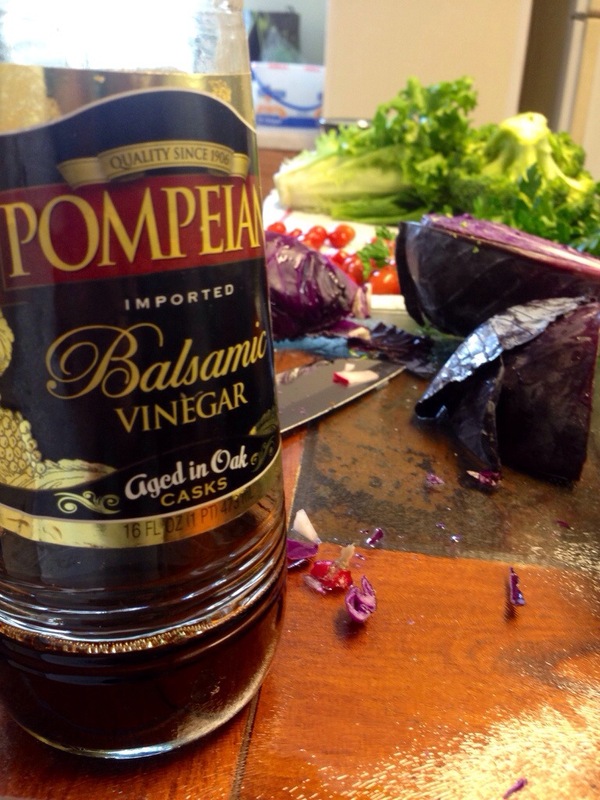 While there are a lot of recipes for different homemade salad dressings that are healthier than store-bought, we typically use balsamic vinegar and olive oil. Just a drizzle of each packs a punch of flavor, and it’s actually good for you. The bottom line is that living healthy looks different for every person, and that we shouldn’t be afraid to venture out of our comfort zone. Oh, and, salads are delicious.